Real crazy jungle animal racing sim is here for the lovers of animal racing games. 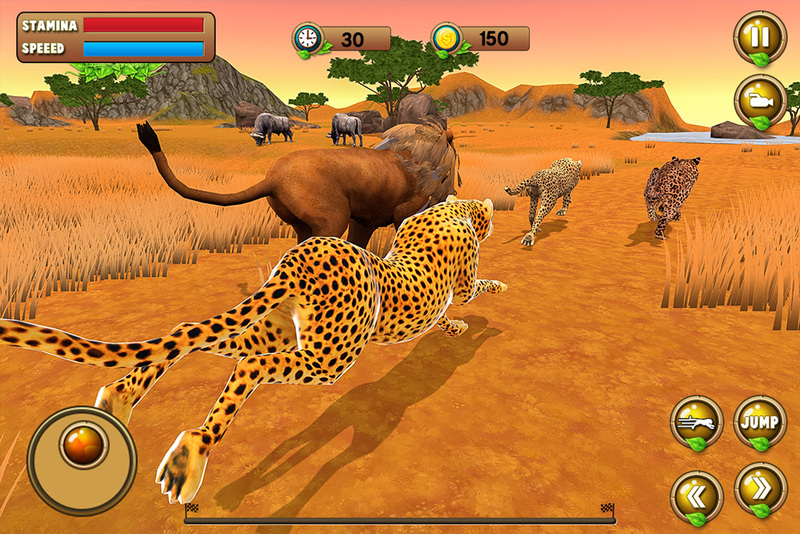 Race in big savanna forest and huge jungle on wild animal racing tracks. Every wild animal is playable and all levels are unlocked for more thrill racer which is not about dog racing games in which you have crazy dog for racing. 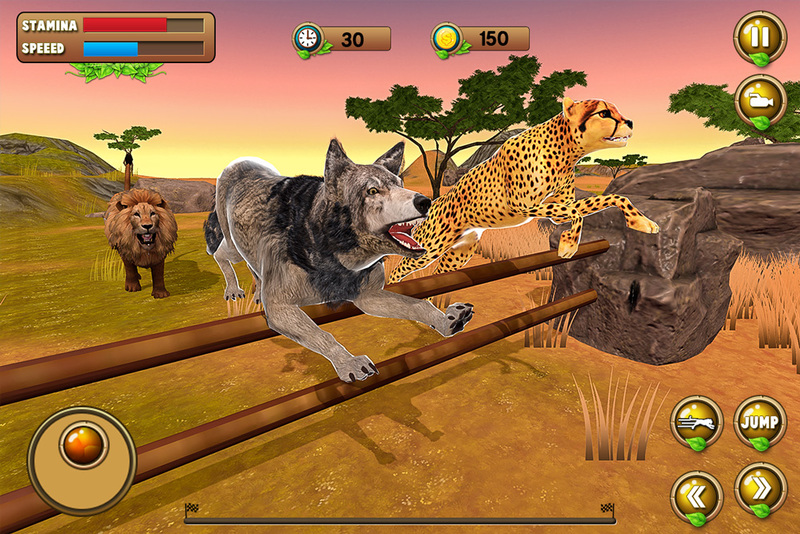 Ultimate big cats including Lion, Tiger, Snow Leopard, wild wolf and panther in best of animal racing games 3d. So forget other dog racing games 2019 and play this animal racing game 3d with wild safari animals. Crazy animal racing is about jumping race and lapping game where you will have to tap to make it run faster and at the end of every race you will win points which will help you to get high scores and playing with more wild animals in lion jungle racing. Animal stunt racing challenge which is superb of animal race. Combo of Lion racing and tiger racing will be the best in the category of animal racing simulator. Quick race or a tournament racing, choice is absolutely yours. 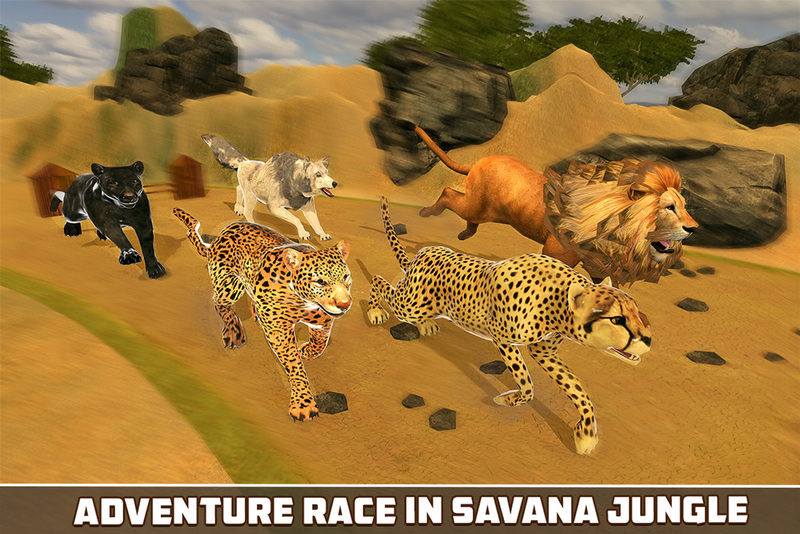 Lion vs tiger race, lion vs lion racing and many wilder beasts for ultimate racing in savanna and safari forest. 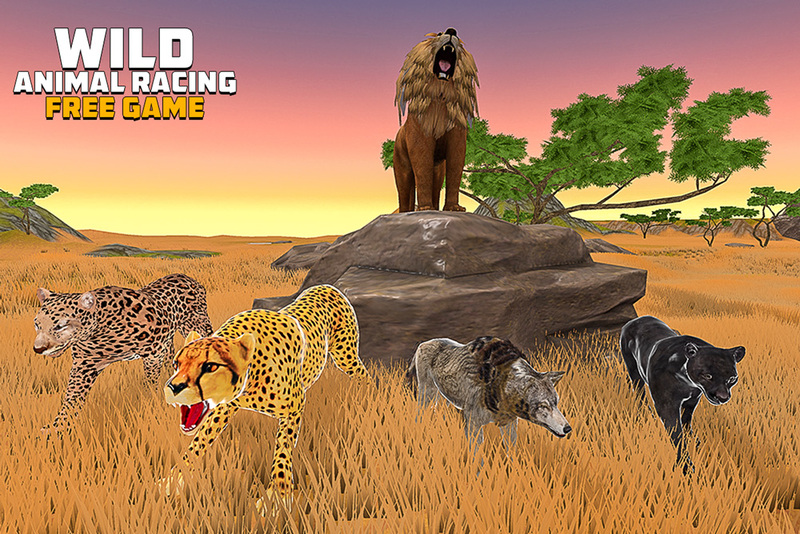 Adventure racing with jaguar and wolf racing never seen in other animal racing games 3d and dog racing games. Gameplay of racing simulator 2019 is simple but challenging because you have to earn maximum points in shape of coins to win the racing championship. 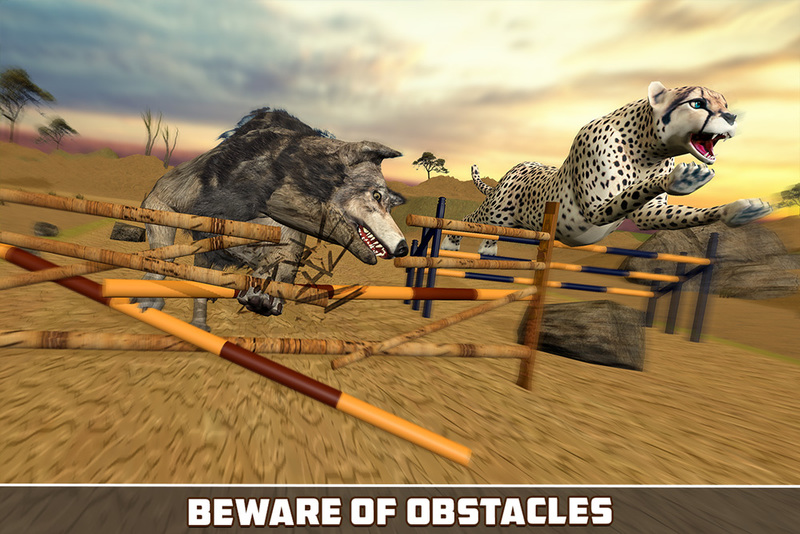 Run your lion not a dog on these racing tracks fast and fast and cross the finish line to win the game with lots of jumping hurdles and obstacles for adventure race in Wild Animal Racing Simulator 2019. This new racing mode is available with hurdles, you have to jump on hurdles, fences and drums on racing tracks to win the race play the most stunts with best hurdle crossing race. This animal stunts racing adventure is absolute treat for free racing games 2019 lover. Wild animal racing is stunner in animal racing games 2019. 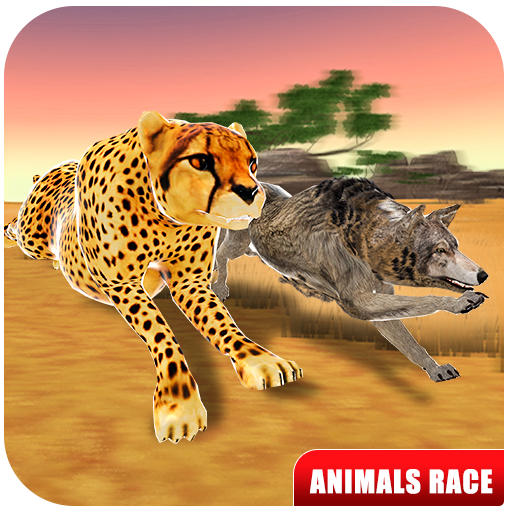 Run fast to create your speed and racing experience over other wild animals. 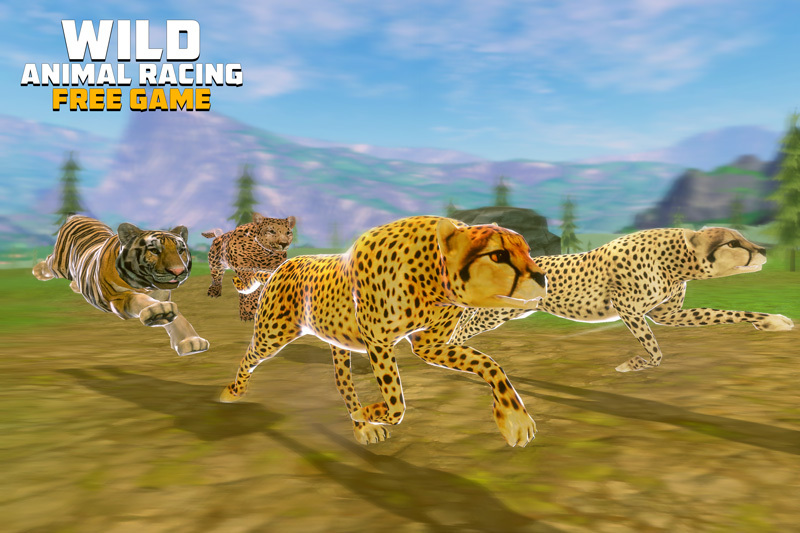 Your wild lion racing with fever of animal race will come true now with exciting gameplay. Maintain your supremacy in order to become a champion of this thrilling and crazy wild animals racing game. ☛ High quality 3D models of wild Animals to race. ☛ Multiple wilder big cats for racing in savanna & safari jungle environments. ☛ Run against hurdles & obstacles with ultimate jumping techniques. ☛ Long jump racing & perfect jump race modes to win racer championship. ☛ Unique UI style makes you never want to stop. 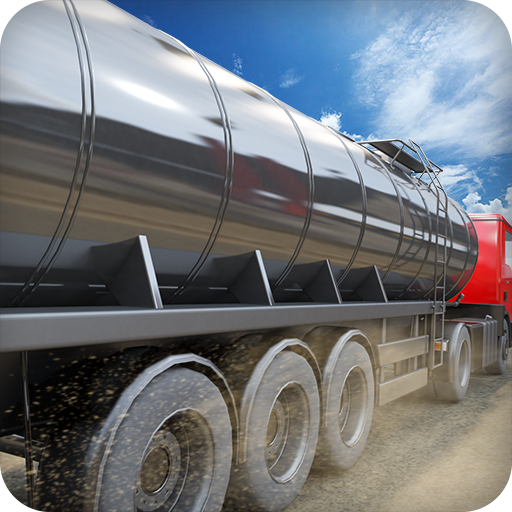 ☛ Challenging lap system with easy controls. 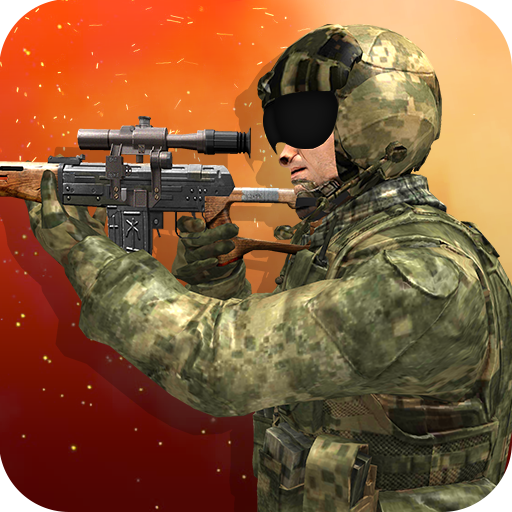 ☛ HD graphics & marvelous gameplay with animal race.